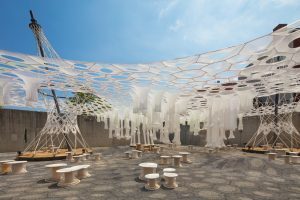 Finalists for the 2018 MoMA PS1 Young Architects Program have been announced. SemFim would like to congratulate the finalists of the 2018 MoMA PS1 Young Architects Program (YAP). It is always great to see young talent being nurtured in our community, but what really inspires us is the work these nascent firms do. From the use of materials to interactive elements, each year surprises us with their imagination and creativity. 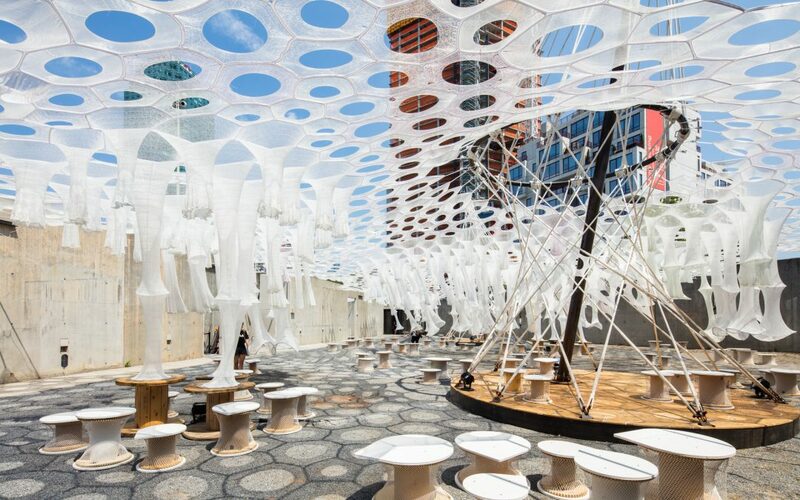 YAP was founded by MoMA and MoMA PS1 in 2000, and it’s dedicated to offering young, emerging architectural firms the chance to design a temporary, outdoor installation at MoMA PS1. The goal: to provide restful, breathing spaces with seating, water and shade. In essence, a way to beat the brutal NYC summer heat. Every year has seen a complete transformation of the space, from full-on enclosures to open-playgrounds. With every installation the winner has brought their own off-kilter vision to MoMA PS1. To participate in the program, architectural firms must be nominated by a select group, composed of scholars, professionals and previous winners. About fifty 50 firms make the list, and are invited to submit portfolios of their work. From there, MoMA chooses five firms to submit a proposal for the space. This years finalists are; LeCavalier R+D (New Jersey), FreelandBuck (Los Angeles/New Haven), OFICINAA (Ingolstadt, Germany), BairBalliet (Los Angeles/Chicago), and Jennifer Newsom & Tom Carruthers (Minneapolis). For an idea of what to expect, check out 2017’s winner Jenny E. Sabin. Her project. Lumen, was an interactive environment that changed according to light, density of bodies and heat. The web-like canopy would change color throughout the day and glow like a bioluminescent deep-sea creature at night. A vision that married science, textiles and mathematics to create a soothing, awe-inspiring space. The winner will be announced February 2018. MoMA has done an amazing job of curating and managing the program and so many benefit from the work of these professionals, from MoMA attendees to the architectural industry we love. Again, our sincere congratulations to the finalists and good luck. We’re looking forward to seeing what strange worlds you will bring into reality.